Another edition of the annual Career & Internship Fair took place at the Varna University of Management. The goal of the event is to offer various internship programmes and job opportunities to students and young people in Varna and the region. Close to 20 international companies operating in Bulgaria, Germany, Malta, USA, Canada, the UK, France, Italy, Australia and Norway took part in the event. And their business fields include hotel management, business management, marketing, finance, outsourcing, IT, human resources, transportation and logistics, banking, tourism. The Mayor of Varna City, Mr Ivan Portnih, gave the official start of the event at Varna University of Management. In the beginning of the event, the participants had the chance to propose ways of making Varna a more attractive destination for young people, and suggest events and campaigns as part of Varna European Youth Capital 2017. The Mayor participated in a discussion with the students, answering their questions and accepting suggestions on improving the infrastructure, sports opportunities, youth events, better distribution of information in English and more. A number of meetings between employers and VUM academics took place during the first day of the fair as well. 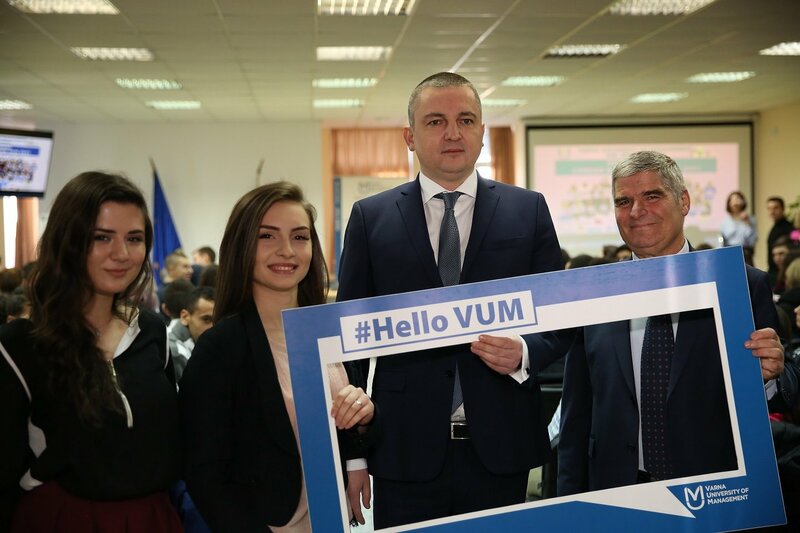 The main subject of the talks were VUM’s academic plans and course disciplines, as well as feedback from the employers on the students’ performance during their internships and suggestions on the career growth of the students. The Career Fair took place in the course of two consecutive days (21st-22nd February) from 10 am to 5 pm. On the first day, some of the employers presented their companies, work environment and business culture. During the second day, the students had the chance to go on direct job interviews and secure their internship offers. 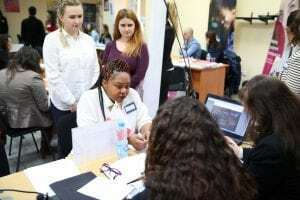 “Last year’s edition of the fair attracted more than 200 participants, who had the chance to apply for internships and job positions in companies from 12 countries in Europe, Asia, North America and Australia. This is one of our initiatives of securing internship opportunities for our students, who come from 40 different countries, but at the same time the event is open to other young people in Varna too.”, says Petya Petrova, director of the Career Centre at VUM, who is organising the event together with the Student Council of Varna University of Management.